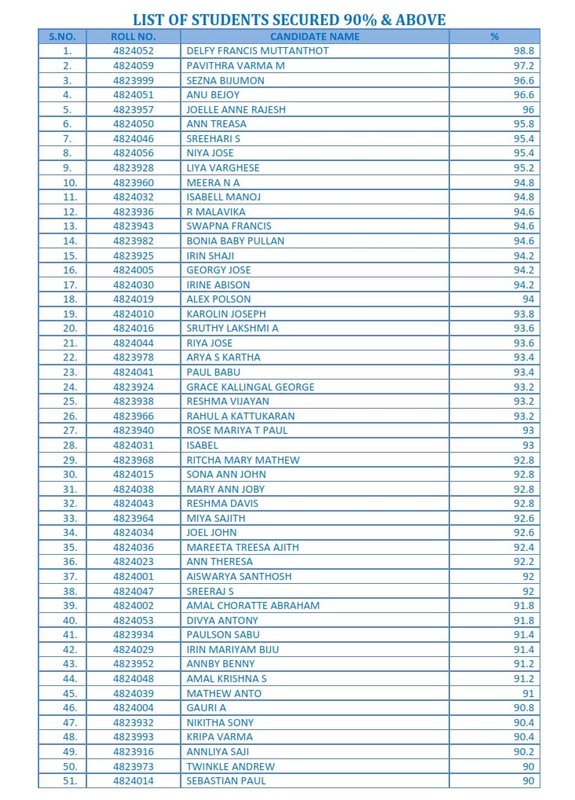 The 10th CBSE Board Exam result of 2005 proved to be lustrous in the history of Viswajyothi CMI Public School of which we can always be proud of Kum. 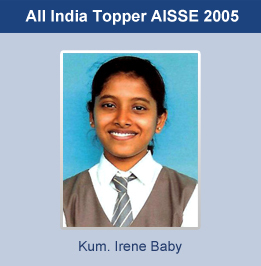 Irene Baby secured 98%, and became the topper in the Chennai region and second at the National level. She got the chance to witness the Republic Day Parade 2006 from the Prime Minister’s Box at Rajpath, New Delhi as a Guest of Hon’ble Prime Minister of India. A sweet memory to cherish! 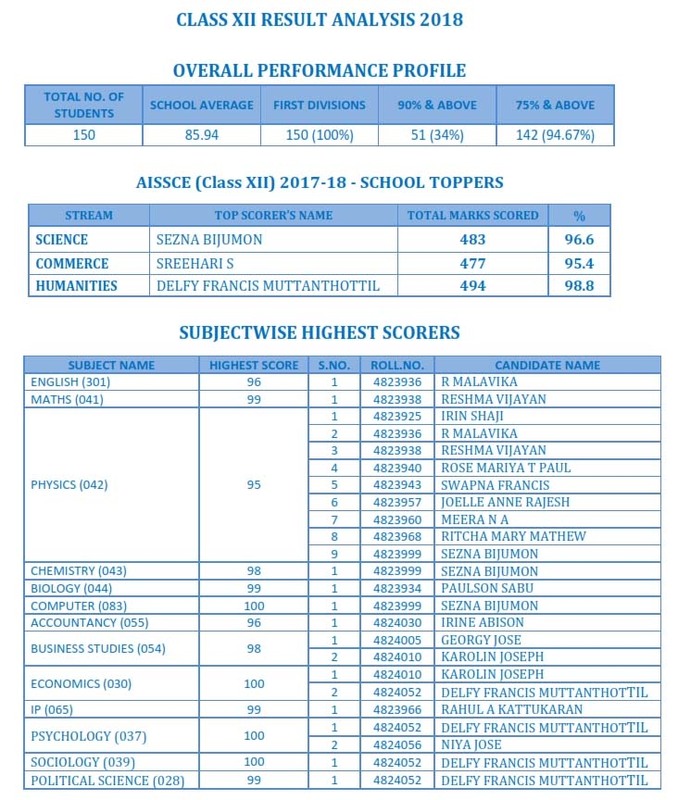 The AISSCE and AISSE results of the Academic Year 2017-18 spread the fragrance of a resplendent victory. 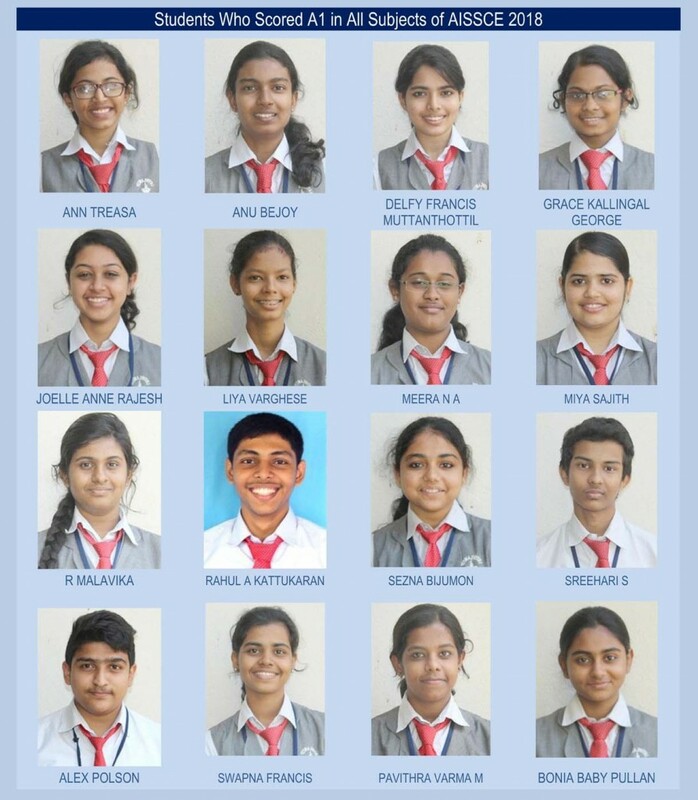 In the AISSCE (Class XII), the history of 100% results repeated and it proved the outstanding performance of the students in their examinations. 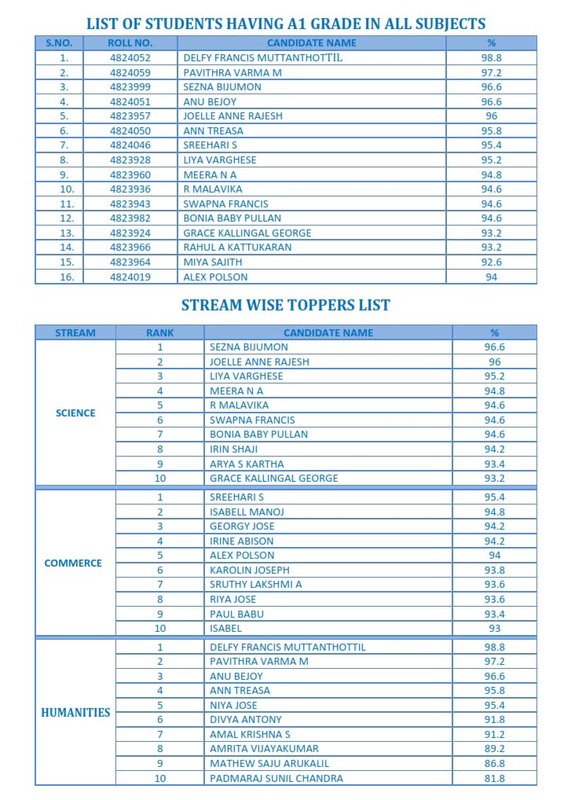 Out of the 150 students who appeared, 142 came out with distinction and 8 with high first class. Altogether 16 students achieved A1 grade in all subjects. 4 Students got 100/100 in different subjects. 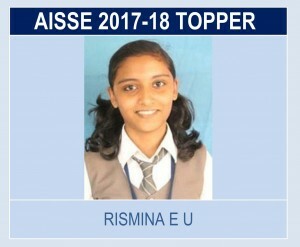 In the AISSE (Class X), 141 students appeared. There was a marvellous 100% result with 130 distinctions and 11 high first classes. As in the previous academic years, 2017-18 also proved the efficient direction of the school Management and the selfless dedication of all the excellent faculties in bringing out their students as those who move fast forward, smoothly, towards a bright future. Viswajyothi is always proud of all Viswajyothians who are at present here and those who have walked out of the portals with raised heads in search of a bright future and have reached their starry heights.